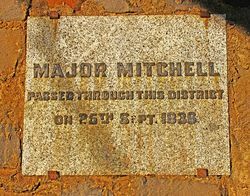 A monument commemorates Major Thomas Mitchell who passed through the area in 1836. MELBOURNE, Saturday. 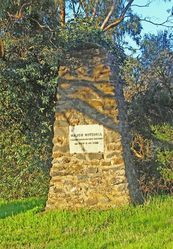 The Historical Memorials Committee of the Royal Society of Victoria, yesterday unveiled memorials near the sites of the camps of Sir Thomas Mitchell, who, in 1836, penetrated Victoria from New South Wales as far as Portland. 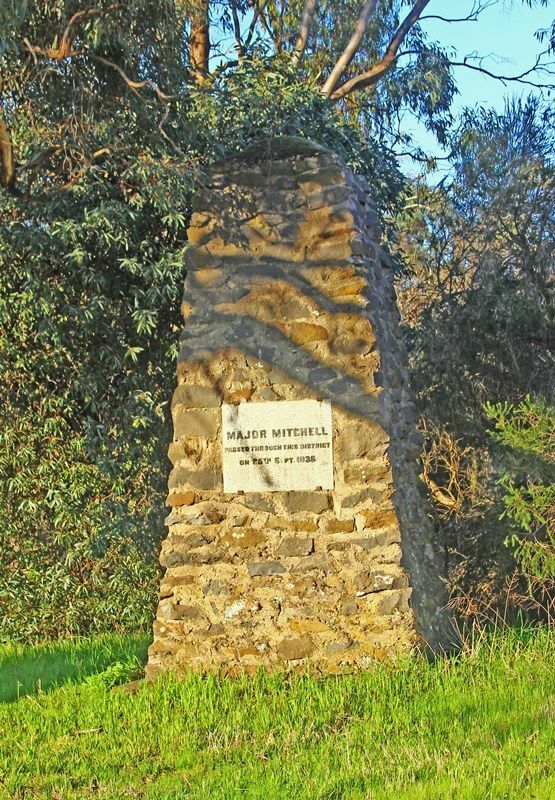 The memorials were erected at Talbot and Lexton, some miles to the north of Ballarat. The cairn at Talbot stands on the summit of Mt. Greenock above a gully where Sir Thomas Mitchell pitched a camp in September, 1836. The cairn at Lexton stands almost in the centre of the town. The unveiling was performed by the president of the Memorials Committee (Sir James Barrett). Sydney Morning Herald (NSW), 31 March 1930.